Here at Jaguar Colorado Springs in Colorado Springs, Colorado we have this gorgeous gently used Approved Certified PreOwned 2014 Jaguar XF Supercharged in our inventory! With just under 42,000 miles on it, this XF is priced to sell at under $30,000! Equipped with a powerful and efficient 3.0L V6 engine, you are looking at getting an estimated 16 MPG city/26 MPG highway. Plus, as an Approved Certified Preowned vehicle you get peace of mind of the 6-yr/100,000-mile limited warranty, 165-point inspection and reconditioning, 24/7 roadside assistance, trip interruption services, rental car benefits, and a vehicle history report. 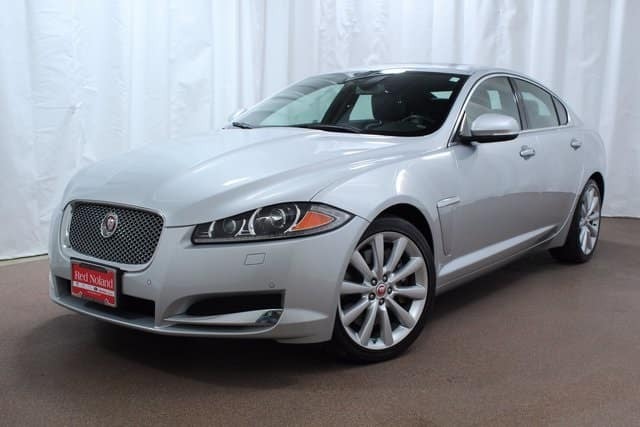 So, stop into Jaguar Colorado Springs today to check out this gorgeous luxury sedan and even take a test drive! We think you will be impressed at the amazing vehicle you can drive home in for such a reasonable price!